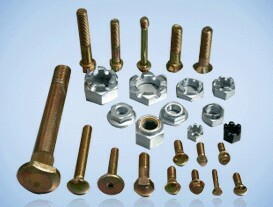 Hex Bolt & Nuts, Threaded Bar, Ss Rod. Connection Rod Bolts & Nuts.
. Anchor Sleeve & Plate, Lifting Bar, Bracket, Fork. P.T.T.E Coating ( Poly Tetra Flour Ethylene), Cadmium Plating.